2nd Saturday Salsa Nights on the Ithaca Commons at The Range resumes on January 12th 2019. 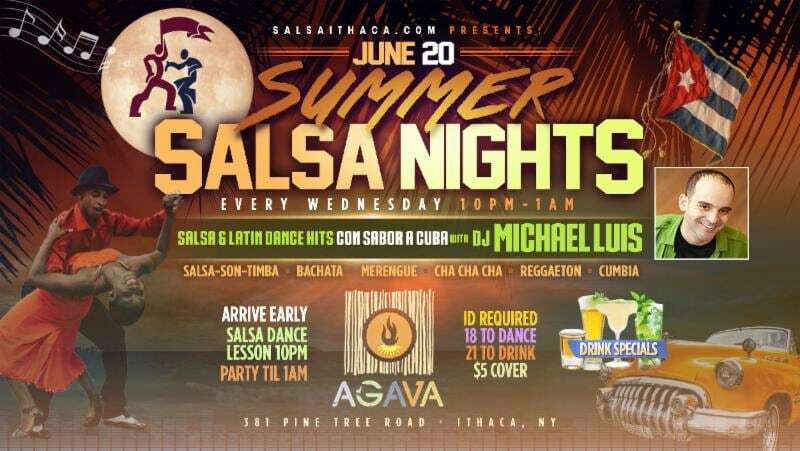 Located at the heart of nightlife in the Finger Lakes, Salsa Night on the Commons brings Latin music and dance to your doorstop once a month. After an awesome first year-and-a-half, we’re back for another season – mark your calendars! We start each night with a Salsa & Bachata Social at 8pm, followed by a “Crash Course” Survival Dance lesson at 9pm, and then we party straight through til 1am. 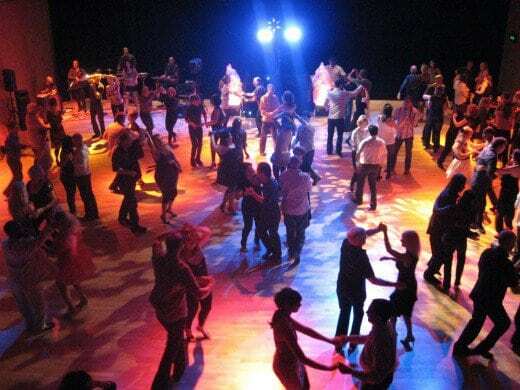 As with all Salsa Ithaca events, arrive EARLY for the fullest experience, including the lesson, more socializing and more party time. Remember to bring ID with age and photo. Thank you for supporting Salsa Night and the dance community by spreading the word and tipping the bar staff. ¡Hasta la Rumba! $3 Tequila Shots, $3 Dos Equis Draft, $4 Cuba Libres, $4 Margaritas.